As you are aware, Senate Bill 27, the Fire Fighter Cancer Presumption Legislation, was passed by the Senate and is at the House Insurance Committee. We have been given notification that the committee will be holding a hearing on SB27 on Wednesday, November 16th at 10 am in the Statehouse in Hearing Room 122 . The OAPFF is encouraging members to attend the hearing to show support for the bill. 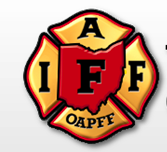 Considering the limited time left in this session, the OAPFF is asking members to reach out to their Ohio Representative and ask for his/her support on this important legislation. Contact information and details about the bill can be found at www.supportohiofirefighters.com. We will continue to update on developments with SB27 via the OAPFF Web Network. Stay Safe, Stay United, Stay Involved. © 2018 Firefighter Cancer Consultants, Inc. Powered by ruef.